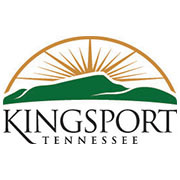 From April 2 through 13, the city of Kingsport is holding its annual spring clean-up service for residents. Residents can place extra items on the curb for garbage crews to haul away at no extra charge. The city encourages residents to clean up and clean out their yards, garages and basements. Every resident will receive their normal garbage and recycling pick-ups and one trash pick-up during each week. During the clean-up weeks, the city will accept items outside the garbage can. A leaf truck will also be running during this time. While the spring clean-up service is free for residents, the city will still charge for contractor generated waste and tree debris during these weeks. Computer items, such as monitors, keyboards and hard drives, can be taken to the Sullivan County Transfer Station on Brookside Drive. Sullivan County will hold its annual hazardous material collection on April 28th at Sullivan Central High School from 9:00 a.m. to 1:00 p.m.
For more information, please call 423-229-9451 or visit www.kingsporttn.gov.